Riki's life is turned upside down when a week before her wedding, the future husband tells her that he's cheating on her... 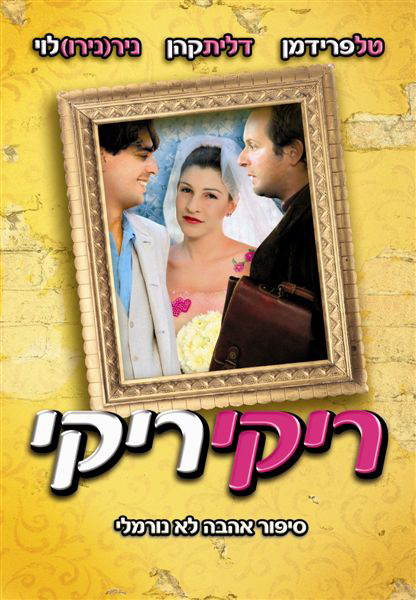 This wild romantic comedy won Best Feature Film award at "The World Of Comedy International Film Festival, 2005", in Toronto. that her life is always under control, even when everything goes mad. Riki expects her boyfriend, Asher, an unemployed actor, to pop up the question. Unfortunately, instead of a marriage proposal she is faced with Asher's confessions of infidelity. Riki decides to fight back by making him jealous. Max, Riki’s geek professor, who has a crush for her, is chosen for the job. last minute twist Riki has to evaluate her life choices again.